Tamba Villas set in a private coconut estate which is set back 300 meters from Thalpe beach Galle, estimated to be around late 2020. Eduard Hempel and Trevor Morgan Director and Co-Project Principals for Tamba Villas said that they expect to commence construction of this niche development project in early 2019. 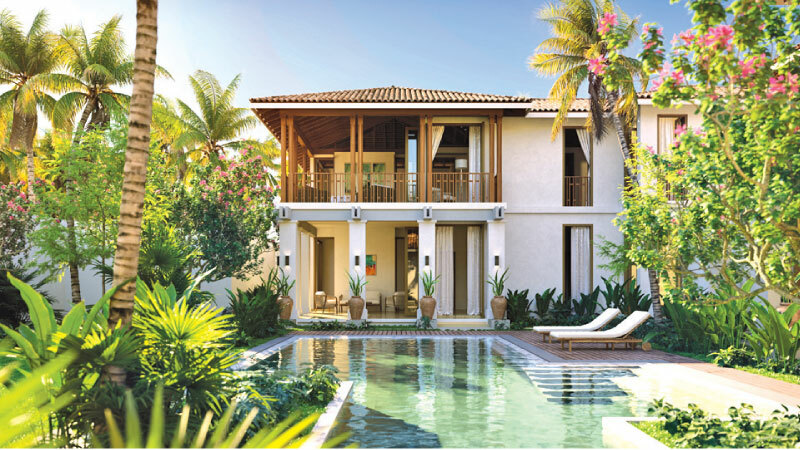 The 37 villas, has been designed by an award-winning Singaporean Architectural team, to create a coastal lifestyle design with high-end amenities for living, working or early retiring in a much sought-after area in the south of Sri Lanka. The total investment would be US$ 15 million. Tamba Villas is a collaboration between Shakticola and Award-winning A D Lab, a Singaporean Architectural firm focused on cutting edge residential projects, while STIX, another award-winning landscape designer designed the lush tropical gardens. “The Tamba team wanted to build a development that did not overwhelm the landscape, instead ensuring that each Villa blends in sensitively around all the greenery, preserving the natural surrounding beauty”, said Hempel. He said that Sri Lankan Parliament ratified an amendment to the laws so that foreigners can buy Freehold in a condominium development. “This is Great news for foreign investors”, says Hempel.